A point of distinction of the resort is the characteristic small harbour extending along stream Chioma's mouth, with approximately 40 moorings from 4 meters to 13 meters, the surrounding green hills of the Mediterranean scrub will make your stay on board an unforgettable experience. Pleasure boat users will be able to choose among a wide range of facilities. A petrol and diesel filling pump with an operator is at your disposal to add fuel to your boats. Along the small harbour you will find water and electricity dispensers. The small harbour area is covered by free wi-fi. Our kind and efficient highly qualified staff will be there to help you during berthing by making your stopover pleasant and relaxing. Facilities include a radiotelephone calling channel VHF CH 25. Igorent give you sensations that only a boat in the middle of the sea can guarantee...you will be given the option of participating in excursions in private boats, drinking a cocktail on board, swimming at sunset light, finding out the most suggestive places from the" Costa del Faro" (lighthouse's coast) in Vada to the "Secche della Meloria" (Meloria Shoal), from Castel Sonnino (Sonnino castle) to Baia del Quercetano (Quercetano's Bay)...the "Porticciolo del Chioma" will offer all of this and also the possibillity of renting rubber boats. An exclusive club based at "Porticciolo del Chioma", an additional value which could not be neglected, set up on the new areas directly on the small harbour, its purpose is the development, the promotion and the transmission of nautical culture and the protection of marine life mainly through activities concerning sport fishing regulations, the restauration of antique boats with the ambition to gather all those who sail the sea. 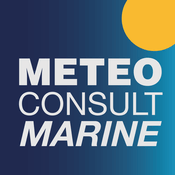 Check marine weather and/or weather forecast for our region.